Ready to raise a glass to St. Patty? Event details to come. I don’t know about you, but we’re so ready for more daylight! This Sunday March 10th at 2am is daylight savings time and in honour of this momentous occasion we are establishing an annual Spring Forward Wine Event. We’ll have a handful of great tasting wines and delicious edibles from our favourite local suppliers, to help you celebrate the longer days of Spring and Summer to come (and to also help drown your sorrows after losing that one precious hour of sleep). So please come join our merriment as we joyfully raise a glass to later setting of the sun! Yay!!! We cordially invite you to our 6th annual holiday wine + food social. It's an event where we bring together our community and mingle with old friends and new! Come in out of the cold and warm-up with some of our own blend of mulled wine and listen to some festive tunes. We will be tasting a showcase of holiday celebration wines—wines for Christmas dinner, bubbly, sweet and dessert. Along with the wines, there will be some of our favourite local craft ciders. Find the perfect holiday bottles for gift-giving. Taste the scrumptious offerings of some of our local boutique food artisans. It's a festive, uniquely local way to indulge in some edible delights while sharing the joys of the season with friends and neighbours. This year, our dear friends from Garden Party Flowers will have a beautiful selection of holiday florals on offer. We're additionally excited to have Chef Ann Kirseböm join us. She will be sharing some of her amazing Paris in a Chocolate, Grand Mariner infused creations! Lastly, we will be raffling off another sweet cruiser bike, that will help a special little someone in our family raise funds to provide socks to those in need. It's for Chase and this is his third annual sock fundraiser which he started on his own initiative. He named this endeavour, "Project Toasty Toes". This Christmas, it was unanimous. After his filled-donation container was stolen from the shop last week, we decided to support his fundraising efforts at this event. We do hope you’ll join us, as we once again gather in the spirit of the season. It all happens on Saturday, December 15th, from 2 to 5pm. We look forward to seeing you then, and to seeing this holiday tradition continue to take hold in the hearts of our cherished customers! Chris, Rosina, Jason and Co.
Estd. 1986 | Celebrating 32 Vintages! This is a complimentary event, but keep in mind space is limited. Please RSVP (ASAP) to let us know if you intend to join us, so we can add you to our guest list and prepare accordingly. Please click/tap the button below to reply, thanks! There is complimentary customer parking behind our shop. It is available on a first-come-first-serve basis. There is also ample metered parking on West Broadway and free parking on the side streets all around the shop. In addition, there are large parkades in the vicinity. SPECIAL EVENT // Longtable Wine + Seafood Evening with Chef Erin Vickars, F.I.S.H. and Blue Grouse Winery! We are thrilled to announce our next event! After much anticipation, we are finally hosting our first sit-down family style event at our new longtable! It will be a very special celebration of wine, seafood and some amazing people. Joining us for the evening will be Chef Erin Vickars of Outer Shore’s Passing Cloud, F.I.S.H.—our favourite local, sustainable and organic seafood supplier, and Paul Brunner, Proprietor of Blue Grouse Winery. You will feel additionally good about pulling up your seat, as proceeds from this event go to support a charity that has become very close to our hearts—Project CHEF. As some of you well know, we are crazy about seafood. How could we not be, with the bounty of our local waters available throughout the year! May marks the launch of the Spot Prawn harvest in BC waters—a season that only lasts a few weeks, and that yields some of the most delectable seafood morsels the oceans have to offer. For this event, we’ll taste this year’s local spot prawns and other ocean fare, with a much-anticipated seafood boil. Chef Erin will share stories of the ocean and her travels onboard the Passing Cloud Schooner. Paul will be sharing stories of the vineyard, as we sip wines from the new releases of Blue Grouse Winery, in the beautiful Cowichan Valley on Vancouver Island. We hope you’ll join us at our family table for this celebratory dinner! This is a collaboration that we love! Some of you might remember Broadway Wine Shop alumni, Chef Erin Vickars, from a few years back. We miss her dearly as part of our team, but are ever so proud of all that she’s accomplished to date. It was in fact Erin who introduced us to Project Chef years ago, when she discovered that our then preschooler, Chase was seriously into food. When Erin earned her Red Seal certificate, Chase thought that she actually received a red mammal-from-the-ocean seal and he illustrated that in a special card to congratulate her! Erin’s work spans over a decade, having worked with many prestigious chefs and restaurants, like Café de Paris, Diva at the Met, The Vancouver Club, Bishop’s and a staging at Atelier Crenn in San Francisco, under Chef Dominique Crenn in 2016 (to name a few). Recently, Erin was featured in Where Women Cook, where she shares a raw and detailed journey of her culinary career. Erin brings her passion and love of cooking on board Outer Shore’s Passing Cloud, a 70 ft classic wooden schooner designed by William James Roué, famous for designing the legendary fishing schooner, Bluenose. Outer Shores is a niche travel company that explores our coastal waters on amazing journeys of scenery, wildlife, culture and of culinary cuisine. Erin embraces the challenges of cooking at sea and creates beautiful meals showcasing our amazing local producers, as well as foraged foods—sea asparagus, Dungeness crab, spot prawns, edible kelp, rockfish and more— found along the trip. We feel honoured that Erin will be at the shop for this special event literally two days before she leaves to Haida Gwaii for her next expedition. We are delighted to have Blue Grouse Winery in the house for our event. Heading up the wine for the evening will be Proprietor Paul Brunner who is joining us from Blue Grouse Winery in the beautiful Cowichan Valley on Vancouver Island. We recently held a surprise birthday party for winemaker, Bailey Williamson and it was such a fun time. We loved hearing about their passion for making exceptional wines from their sustainably farmed vineyards. We knew we had to have them in the shop for another event. Blue Grouse is one of the oldest wineries on Vancouver Island and the property itself has a colorful history. Ironically enough, the property was first planted with 100 different varietals the same year our wine shop opened, way back in 1986! These were pruned down to the varietals that would grow best in the Cowichan Valley. In 2012, the Brunner Family became the new owners of the property and winery. They are dedicated to being good stewards of their land and have put together a fantastic team. They craft some truly delicious wines from their estate fruit as well as blending sourced grapes from the Island and Okanagan for their Quill line. Once again, we’re teaming up with our great neighbours and favourite seafood shop, Fresh Ideas Start Here (F.I.S.H. ), who are legendary in the local world of seafood. F.I.S.H. specializes in fresh, locally-sourced, sustainable, Ocean Wise seafood—a store owned and operated by Jenice Yu, who launched her first store in Burnaby in 2008, which quickly became a hit with seafood aficionados and chefs from the most reputable restaurants in the city such as Maenam, Bishop's, Osteria Savio Volpe, Coquille Fine Seafood, L’ABATTOIR, Boulevard and Farmer's Apprentice. Jenice comes from a family that is well-established in the fishing and seafood industry. Her passion is to educate people about the stellar seafood that comes from our BC waters and the joys of eating the best fresh fish. Proceeds from the event will go to Project CHEF, a local non-profit that is all about connecting kids with the age-old human traditions of sourcing, understanding, preparing, and enjoying real food. Since starting the program they have reached over 8400 students from Vancouver schools with over 4800 parent and community volunteers. We are also happy to say that we have our dear friend, Barb Finley, the founder of Project CHEF joining us as well! This event will be communal sit-down longtable style. It will be a casual yet intimate setting. It also means that, thanks to our cozy quarters, space is very limited, so please act soon to secure your spot(s). Tickets are $70 per person and must be purchased either online, in person at the wine shop or by phone at 604-734-8543. We are so excited about this event. We look forward to seeing you! Please note: Tickets are non-refundable so if you are not able to attend, please pass them onto a lucky friend! Chase's Red Seal Certificate congratulations card for Chef Erin! Special Winemaker Event // Domaine Roche Vineyard // Meet the Winemaker, Pénélope Roche! On a recent trip to Kelowna we attended a special dinner put on by our dear friend, Aman Dosanj of the Paisley Notebook for International Women’s Day. This epic dinner celebrated Women Chefs and Women Winemakers hosted at Tantalus Vineyards. It was at this event that we met the ever-so-charming Pénélope Roche of Domaine Roche Vineyards, who was the first featured winemaker of the evening. We’ve been loving Roche wines and carrying them at our shop for a while and we hadn’t officially met Pénélope before. We had to say hello before we left and when we did, we hit it off right away. We were quite inspired by her passion towards family, being a part of a husband and wife team, and by her firm dedication to natural, organic, artisanal farming and winemaking. On top of that, she is the mother of three! Her youngest was just weeks old at the time of the dinner!!! Pénélope is an impressive figure in the Okanagan and we are so happy to have her join us in our little boutique family wine shop on Wednesday, April 25th from 7–9pm. It will be an intimate yet casual tasting where Pénélope will share with us her lovely Naramata Bench wines as well as share tales of their vineyard! Pénélope and Dylan Roche share over 25 years of experience and obsession for grapegrowing and winemaking in Bordeaux, Burgundy, Spain, Australia and New Zealand. The first notable thing to mention about Pénélope is that she literally grew up in a vineyard. Her family counts five generations of viticulture and winemaking at Château Les Carmes Haut-Brion, the family estate whose wines rival the Grand Crus Classés of Bordeaux. She brings to the Okanagan Valley her profound and holistic understanding of the grapevine’s relationship with its environment, from a winemaker’s perspective. Pénélope’s husband, Dylan, who actually grew up in North Vancouver, studied wine in Beaune and worked five years in the vineyards and cellars of some of Burgundy’s most prestigious domaines, from the Côte d’Or to Chablis. Over six vintages in Bordeaux and four in the South Okanagan, he has built a unique awareness of the synergy of elements that create truly great wines. Please join us to meet winemaker Pénélope Roche. Taste Domaine Roche Vineyard's delicious wines and find out for yourself why these offerings have captured the interest of local wine enthusiasts —including the rest of our wine shop family, who recognized from their very first sips that these wines were something special. We’ll also have some irresistible cheese and charcuterie selections from our favourite local suppliers. Who knows, you may just find your new favourite winery! This is a complimentary event, but keep in mind space is limited. Please let us know if you intend to join us, so we can prepare accordingly. Please RSVP asap by using the RSVP button below and we will add you to our guest list. Let us know how many people will be in your group. A confirmation will sent by email. We hope to see you here for our first winemaker's tasting of the year. We are pretty excited about this one! If you missed the Vancouver International Wine Fest this year, don’t worry! This Sunday we are hosting a tasting focused on the feature countries of Spain & Portugal. Both nations have a tradition of making wine since ancient times and have exported it since the days of the Roman Empire. Today, their wines offer exceptional value as the quality for the price you pay is much greater than many other countries. With over 400 native grape varietals each, the Spanish & Portuguese are making much more variety than just your standard Cabernet Sauvignon and Merlot. We will be trying wines with varietal names like Xarel-lo, Garnatxa Negra, a blend of Aragonez, Trincaderia, Touriga Nacional and another blend of Moreto, Castelão and Trincadeira. There is definitely many opportunities to expand your palate and to learn new things. Please join our wine shop community as we gather around our tasting table, enjoy some Spanish & Portuguese wine, inspired bites and get to know your neighbours and fellow explorers. After all, we are a shop for wine lovers! Valentine’s Day: rosé, the new colour of love! With the second tasting in this series, we are exploring the natural tendency many people have to crave comfort foods like rich stews when the temperature drops. At our shop, a common inquiry we still get asked is, “what wine should I have with stew?” The answer to that question is varied as there are many different types of stews, although there are some good rules of thumb to follow. Firstly, nice rich reds go great with big meaty, earthy flavours. There are many wines that fit that bill and we are going to be opening up some reds that fall into the full flavoured category. Au Natural Wines - Wines that bare it all! With this tasting we are exploring wines that aren’t afraid to be who they are. Natural wines are typically made by people who are dedicated to a pure expression of the land, the varietal(s), and take a step back in the winery. It is a return to "Old-World" wine making and the opposite to a technology / manipulation driven approach in the vineyard and winery. With a lot of conventional wine making, very little is left up to nature. Like them or not, Natural wines are honest and are among the most interesting wines available. Since we are in the middle of our brisk, coastal winter, we thought a fun thing to do would be to add a bit of mystery to our tasting. 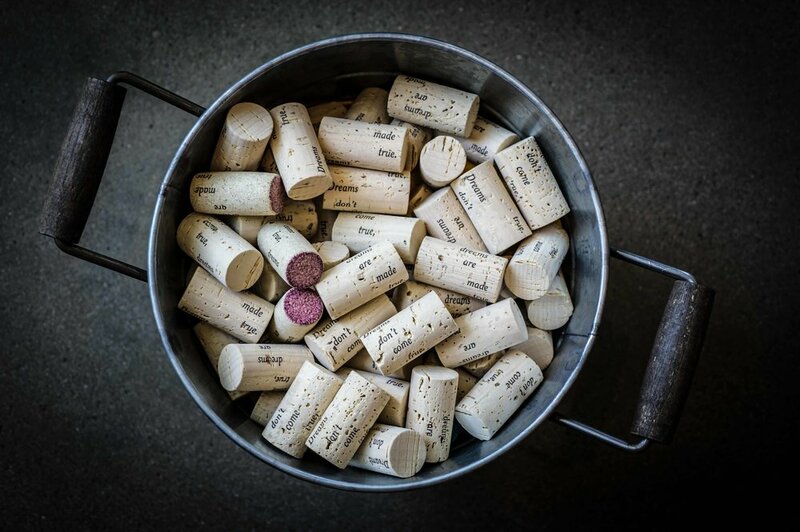 Come in out of the cold and explore our secretly concealed wines. It’s your chance to not be influenced by hype and marketing and to let your senses decide for themselves if this is a wine you enjoy or not. Do you like the way it looks, smells, tastes? Does it evoke in you a memory or a feeling? Don’t worry, this event is strictly for fun...but we will have a challenging curve-ball or two thrown in for the “wine experts”! Come join us as we explore wines made close to home — these will be wines from Washington State, Oregon and our very own BC. We could feature one region or explore a varietal made in all of them. This is part of a series of tastings where we delve deeper into the wineries and people who work hard in our own backyard. Come join us to see which part of the neighbourhood we will be exploring. Sunday Funday Tasting! Int’l wines & taste test + prize! We spent a few weeks exclusively tasting BC wines, so now we are venturing forth and exploring some international offerings. Please join us this Sunday November 26th 2-5pm as will have one from France, Spain, Greece, Chile, USA and a mystery bottle. We will be bringing the tasting home with, you guessed it, a blind taste test! There will be 3 multiple choice questions, and if you get them all correct you will be entered into a draw for a very tasty local gourmet gift basket. It features a selection of our absolute favourite local culinary artisans. So please join us to explore some new wines, take the taste test and see if today is your lucky day! The winner will be drawn at the conclusion of our tasting at 5 pm. We are hosting a very special tasting on November 14th in honour of Team Crush It! Everybody is welcome. Please join us as we support our dear friend Dana (team captain) and her team in their epic quest to raise funds for the Ride to Conquer Cancer. It’s personal for them. This is a disease that has touched our lives personally, and has taken many of our loved ones. Cancer has affected literally everybody’s lives in one way or another, so let’s join together and raise some funds for this most worthy cause! Please see event and ticket details below. Special Wine Tasting - Team Crush it! Please join us for a fun & fabulous evening of Wine Tasting and delectables, being hosted by the Broadway International Wine Shop! We’ll also have a Raffle with amazing prizes and other awesome enticements! You will be supporting team CRUSH IT! in their fundraising efforts for their 2018 RIDE TO CONQUER CANCER, benefiting the BC CANCER FOUNDATION! LET’S RAISE A GLASS to a world free from CANCER! *Tickets are limited. Please purchase in advance by Nov 14th. We are incredibly grateful for your support! Please join us this Sunday 2-5pm as we welcome Winemaker/GM Mohamed Awad of Play Estate Winery (Okanagan) to our boutique shop. He will be pouring a nice selection of their wines, telling the story of their winery and answering any questions you might have. “We are very excited to be launching this winery as the site is incredible,” says Awad. 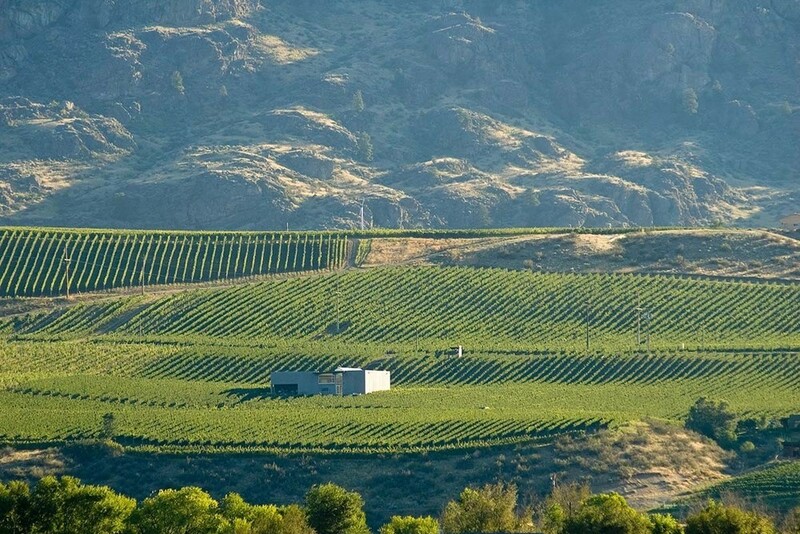 “Its location on the west side of Skaha Hills enables the entire vineyard to have a south east exposure from sunrise to sunset, which is ideal for grape growing." Have you ever wanted to go off on an Anthony Bourdain–style culinary tour of the world? Well, if you haven’t done it yet, we invite you to join us for the next best thing—an evening of delicious food and meaningful stories with someone who has. We are super excited to announce that we will be hosting a special wine and food long-table dinner with chef Aman Dosanj of the The Paisley Notebook 'edible adventures' blog. On Sunday July 16th 7pm, she is making a special trip down from her home in Kelowna to our little shop in Kitsilano. This is an event that we’ve been planning for a while, and our theme is something that is meaningful to us both. It is Family. But Aman is not just a foodie traveler. She also has received acclaim for her work on the other side of the swinging kitchen doors. Back in 2009, Aman and her family opened up Kelowna’s first farm-to-table Indian restaurant. And a big part of their success was based on developing close working relationships with the local farmers and wine producers that they featured in their dining room. After finishing her trip, Aman has held sell-out 'Say It Like You Eat It' pop-up dinners in the Okanagan. These are inspired by her travels, the people she has met and featured on her 'Food Memory Project'. We are so honoured to have her come to the wine shop to do her first pop-up dinner in Vancouver. Storytelling will be a big part of our evening together. We feel that we are storytellers for the wineries and the winemakers we are passionate about, and Aman, as you can tell from her blog, loves to tell stories with food. It’s that connection with storytelling and family that we want to celebrate, and we hope that you will join us as we eat and drink, and toast the families who work and create together. For our event, Aman will be bringing farm fresh produce from the Okanagan, as well as using seasonal ingredients from our local producers. Her four course, Indian-inspired meal will be inspired by her 'food memory project' from her travels around the world. And of course, there will be wine! We are already having fun exploring the wines to pair with the food. Our focus will be family wineries from both local and international producers. Proceeds from this event will go to Project Chef, as chosen by a young member of our wine shop family, 8 year old foodie, Chase! Project Chef is a local non-profit that is all about reconnecting kids with the age-old human traditions of sourcing, understanding, preparing and enjoying real food. This event will family long-table style. It will be a casual yet intimate setting. It also means that, thanks to our cozy quarters, space is limited, so please act soon to secure your spot(s) by purchasing your ticket with the provided link. We hope you will join us for what we are sure will be one of our highlight tastings of the year. We have been dreaming about this next event for a while! We’re happy to announce that on Tuesday, May 16th, 7–9pm, we welcome Marcus Ansems, Master of Wine and owner/winemaker of Daydreamer Wines, to our little family shop! There are multiple reasons why we wanted to do an event with Marcus. He makes delicious wine. He is dedicated to the environment and to organic/low intervention farming. He adds as little to the wine as possible. The wines are named after family members and the family crest is on his high-end wines. He likes to say that it, "keeps him honest!" But more important to us is that it is a family business. All that they've done was once a "Daydream", and that's just like how we started! Marcus was born in Australia and was literally raised in the vineyard. He now brings over 30 vintages of experience of making wine in Europe, South Africa, Australia and Canada. Today, he lives on the Naramata Bench and together with his wife Rachel (a highly trained wine taster with International wine business experience) they own and run their boutique winery. Marcus recently became the fifth Master of Wine in Canada and he is the only University qualified winemaker/viticulturist MW in the country. But, those are just accolades that he has never mentioned to us once, and he comes across as one of the humblest guys you will ever meet. Along with the wines, there will be some irresistible cheese from Les Amis du Fromage and charcuterie selections from our favourite local suppliers. This event will be a casual yet intimate setting. It also means that, thanks to our cozy quarters, space is very limited. Please act soon to secure your spot(s). Tickets are $15 per person and must be purchased either online, in person or by phone 604-734-8543. We hope you will join us for what we are sure will be a fantastic evening! With Sunday's tasting, we salute Mom. Come by between 2-5pm as we will try some bubbly and wine along with some treats, cheeses and charcuterie! Also, following our annual tradition, we will have beautiful Orchid blooms for all moms who visit us Mother's Day (while supplies last)! This has been one of our family traditions since 1986. Our mom, Anita, would present lovely flowers to all moms on Mother's Day. How did it all begin? It all began when Anita received a bountiful bouquet of flowers at the shop on Mother's Day. On that day, many people opened-up and shared their stories about their moms, kids or their family. Anita started to hand-out flowers from the bouquet she had received as a token of gratitude. Sharing her bouquet of flowers with other moms was special to her. It was a nod to all moms. It was about sharing, about connection, love and acknowledgement. She loved the conversations and stories, the smiles, laughter and tears shared. Anita passed away in 2001. In loving memory of our beautiful mom, Anita, we've continued this tradition in her honour! Happy Mother's Day again to all! Due to many requests, we are holding a second Puglia olive oil and wine event for those who were unable to get tickets to the first one. The date for the second tasting is April 25th, 7-9pm. It will be the same as the first one, so please read the following for event details. To purchase tickets, please click on link below. We are extremely happy to host an intimate gathering at our long table on Tuesday April 25th 7–9pm, to explore the Italian region of Puglia. Joining us will be Tonio Creanza of Messors, a cultural heritage conservator and 6th generation olive oil producer – Famiglia Creanza. Tonio grew up on his family farm tending to durum wheat, vineyards and olive tree cultivation in the historical and archeological rich setting of Puglia. Every year, he returns home to his families' heirloom olive groves for the harvest. Together, alongside three generations of the Creanza Family, they hand-pick the organic olives and cold press them to make the amazing extra virgin oil they offer. Tonio also returns home for the Messors workshops that he has been conducting for the past 25 years. Attending one has been on our bucket list for a while, and it was through a series of coincidences that we first met. And did we mention that Tonio and Messors is the subject of a recent documentary, Shepherds in the Cave. Check the link to see the trailer. For our event, Tonio will take us through an informative Olive Oil tasting of the new vintage and when that has concluded he will be sharing some of his olive oil based Puglian canapés and appetizers. For our wine tasting, we have a varied selection to explore from Primitivos, Negroamaro, Fiano-Greco and more. Puglia, the Southern heel portion of the Italian boot, is an ancient wine making region (think 2000BC). It is particularly well known for their fruit-forward, ripe red wines that are some of the best values in Italian wine. We've always liked the phrase “wine is bottled sunshine.” As this region is the sunniest part of Italy, it would seem this description fits Puglian wines exceptionally well. This is an evening not to be missed and needless to say, we are looking forward to this event! We should warn you though, only 25 spots are available. If you do plan on attending, please purchase your ticket as soon as possible! Hope to see you here. Date + Time: Tuesday April 4th, 7—9pm. This coming Sunday we will host a special impromptu tasting with winemaker Graham Pierce of Black Hills Estate Winery. He is the person behind the cult Okanagan wine, Nota Bene, and will be here to taste his wines and to chat about the current and the upcoming vintage. Graham is coming out from Osoyoos for the International Wine Festival and he finishes off his trip at our shop. This event will run this Sunday from 3-5pm. Please RSVP ASAP if you will attend, so that we can plan accordingly. You can email hello@broadwaywineshop.ca or call us at (604) 734-8543. Date + Time: Sunday February 19th, 3—5pm. Love is also the theme at this weekend's wine tasting, where we will feature flavours and textures that inspire Amour. So come on by for some sips and to say “hi,” because as always, we’d LOVE to have you join us! This week the Lunar New Year festivities continue at our shop with our second tasting in the series. On Sunday February 5th, 3-5pm, please join us again as we add red wines from other areas of the world to the mix and and explore some savoury bites. Please note that the start of the event is moved up to 3pm, from our 2pm regular start time. Did mention there will be a lion dance!?! We have one of Vancouver's best Lion Dance troupes preforming for us all! The Bak Mei kung fu association has been lion dancing in Vancouver since 1972 and they have performed at many celebrations over the years, including the 2010 Winter Olympics. The Lion Dance is an ancient tradition that will be performed to bring good luck and blessings for the new year. This is also the last week to enter our coin draw. We will be raffeling off two artist-signed, limited edition, pure silver Year of the Rooster coins, issued by The Royal Canadian Mint. These coins are minted as a commemoration of the 2017 Lunar New Year and for some of you who know, we have a very personal connection to them. ;) You can enter in the draw for these coins during our event. We'll announce the winner before the Spring Festival! So please join us as we taste some wines of the world, experience a traditional Lion Dance and toast the coming Spring! We are bringing some Lunar New Year festivities to our neck of Kitsilano! This year, we will be holding two tastings, so come join us as we kick-off the Year of the Rooster on Sunday, January 29th from 2—5pm. This will be followed by another exciting tasting on Sunday, February 5th (more details to come)! At our first tasting, we will be featuring an array of wines including sparkling and dessert. Alongside the wine will be an assortment of delicious festive treats. As the Lunar New Year celebrations run for 15 days, we chose the following weekend to hold a second tasting where we will have a surprise visit from some special guests. We will feature another tasty line-up of wines and this time there will be more of a focus on savoury bites. Lastly, we will be giving away two artist-signed limited edition, pure silver Year of the Rooster coins, issued by The Royal Canadian Mint. These coins were minted as a commemoration of the 2017 Lunar New Year and we have a very personal connection to them! ;) You can enter in the draw for these coins during our events. So please join us to ring in the Lunar New Year and let's raise a glass to the coming Spring! Every Sunday, 2-5pm we hold tastings that explore the world of wine! We always have 3-5 bottles open along with some of our amazing cheeses by Les Amis du Fromage. This Week we are exploring an off-dry blend from the Okanagan's family-owned, Arrowleaf Cellars, First Crush White (Pinot Gris, Bacchus, Auxerrois). Delicious on it's own or paired with seafood, spicy dishes or poultry. Second on the list is going to be the Arrowleaf Cellars single varietal, Pinot Noir. This wine is medium-bodied with smooth tannins, raspberry and cherry aromas. Yes, this would be perfect with poultry, salmon or a mushroom risotto! The next place our palate will be journeying to is all the way to Portugal, to try the Flor de Crasto from the Duro DOC. This represents great value for a full bodied red that has loads of dark fruit, spice along with earthy notes of leather and tobacco. 2016 Christmas Market + 30th Anniversary Celebration! A reoccurring question we hear at this time of the year is, "Are you going to be doing your 'Christmas Market' again this year"? And the answer, you’ll be pleased to hear, is a resounding, “Absolutely!” In fact, we are looking forward to making this year’s event extra special, as it coincides with our 30th anniversary! That’s right, it has been thirty years since the Broadway International Wine Shop opened its doors—one of the first independent wine stores in the province—and we are humbled to still be here today. Thirty years of bringing wines of the world to our little corner of Kitsilano. Thirty years of promoting what’s new and exciting on the BC wine scene. Thirty years of partnering with our friends in the local culinary community and becoming a true neighbourhood destination. We are happy to be the little family shop that keeps on going. So we’re looking forward to celebrating this milestone, in the season of celebration, with the people who have really made this happen: our family, friends and neighbours. Please drop by on December 17th between 2–5pm for some warm seasonal good cheer. Try some of our favourite holiday sippers—from celebration bubbles, crisp whites, sumptuous reds, craft ciders and rich dessert finishers. Sample the offerings of some of our favourite local boutique food purveyors. Warm-up with some of our own blend of mulled wine, enjoy the festivities and the company of friends and neighbours. And of course, there will be birthday cake! We look forward to seeing you, as we once again gather in the spirit of the season. This is a complimentary event, but keep in mind space is limited. Please RSVP (ASAP) to let us know if you intend to join us, so we can add you to our guest list and prepare accordingly. Please email us at hello@broadwaywineshop.ca or call us at (604) 734-8543. Estd. 1986 | Celebrating 30 Vintages! LITTLE ENGINE // Winemaker + Proprietors Tasting! We have a lot of respect for those who make their dreams come true, who create something tangible and in doing so leave their mark on their chosen field of endeavor. 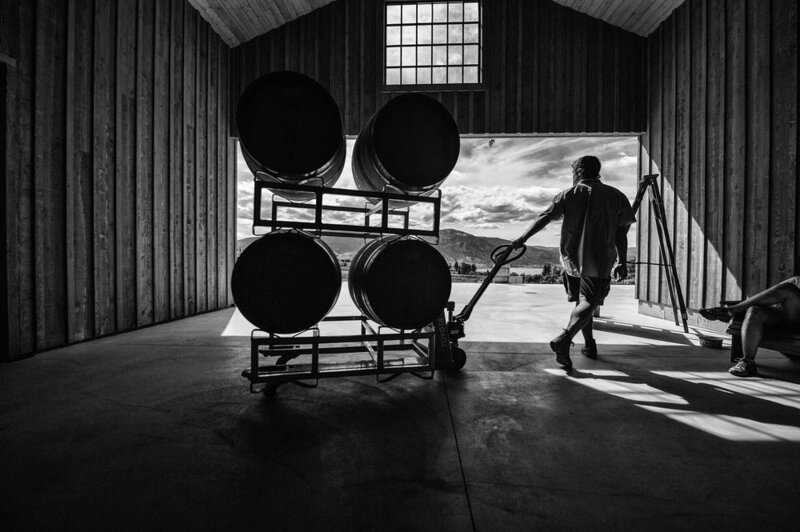 This is why we can really get behind the ambitions of Steven & Nicole French, the husband-and- wife team behind the new Naramata winery, Little Engine. Starting up a new winery is always a challenging undertaking, and the Okanagan area has seen its share of start-ups come and go. It takes a special kind of persistence and dedication to make it work. Steven and Nicole know all about that and now they are seeing the rewards of that dedication. Of course, they have had help making their dream come true, having assembled a fantastic team—including winkemaker Scott Robinson. Scott fell in love with the idea of winemaking while on a trip to Australia and upon his return to Canada he studied winemaking and spent 3 vintages at Township 7 Winery. Then it was back to Australia to get his Winemaking Masters Degree at the University of Adelaide before coming home in 2009 to make wine at La Frenz (another Naramata success story). After leaving there in 2012 he did a stint with a start-up winery before joining the team at Little Engine last year. Management of the vineyards falls into the hands of Pénélope Roche. Wine literally runs through her family's veins as she was born in France and has five generations behind her at the family estate, Château les Carmes Haut-Brion. This tiny estate's elegant wines rival the Grand Crus of Bordeaux. Formal studies in Oenology in Bordeaux and a resume that includes winemaking in Spain, New Zealand and Australia combined with her vast experience in both viticulture and winemaking blends perfectly with Little Engines pursuit of excellence. These are truly remarkable people making truly remarkable wines—and we invite you to find that out for yourself, as we are hosting them for a special tasting of their current vintage and a few surprises, on November 14th at 7-9pm. Along with the wines, there will be some delectable cheese, charcuterie and Autumn(ish) edible selections from some of our favourite suppliers. We are really delighted to be doing this event and to be able to give our customers the chance to meet Steven & Nicole French and winemaker Scott Robinson, to try some wonderful wines, and to experience where this little engine is going! We are thrilled to announce our upcoming wine + food event! On Tuesday, September 27th, 7–9pm, we will welcome one of Vancouver's top Japanese chefs, Masayoshi Baba of Masayoshi and two Sake Breweries from Japan, Kawatsuru and Tatenokawa, to our wine shop for what we are sure will be an exciting evening! 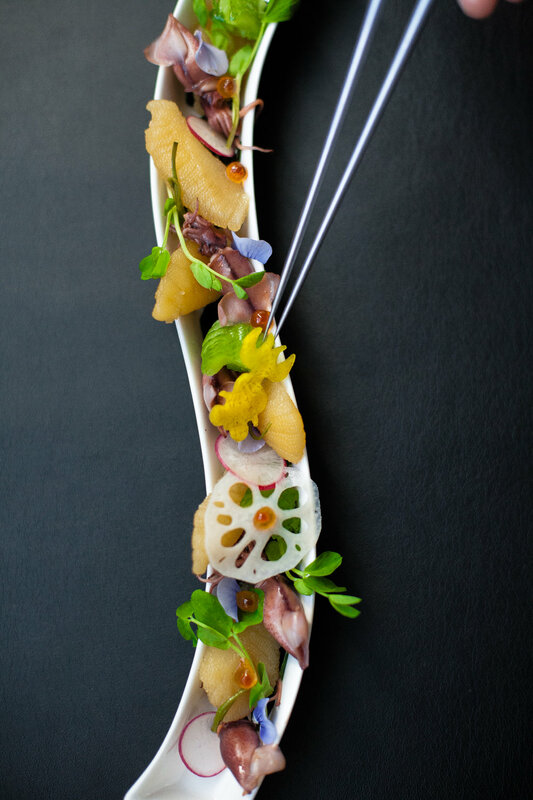 When we first tasted Masayoshi’s cuisine, we were blown away by his creations. Not only were they beautiful to the eyes, but they were an amazing exploration of flavours, textures and presentation. Masayoshi is a culinary artist who developed serious skills over two decades, both back in Japan and during his 10 years as sushi chef at Tojo’s. 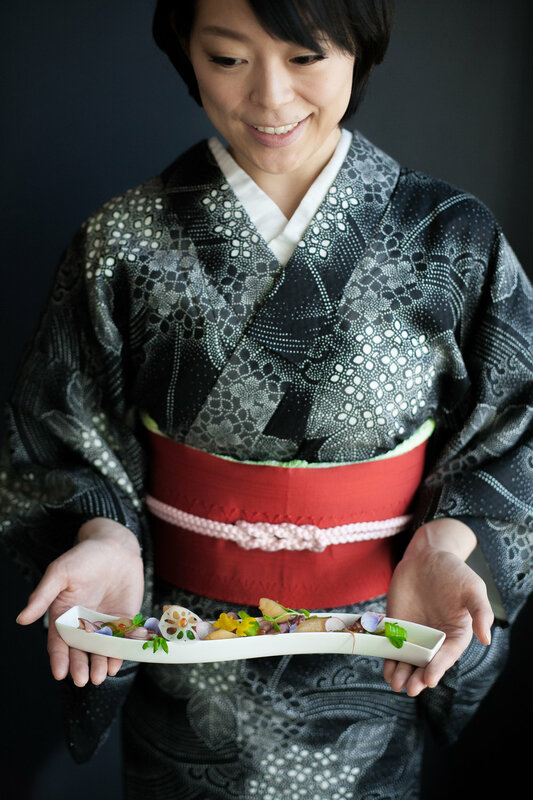 This year, Masayoshi was awarded Bronze at the Vancouver Magazine Awards, in the Best Upscale Japanese category alongside his respective peers. Pretty impressive, considering the level of talent this city has to offer and that Masayoshi had been open less than a year. But, awards don't faze him as he is as humble and kind as ever. What Masayoshi is passionate about, is his cuisine and sharing his craft and creations with everyone. With that said, we are very honoured to have Masayoshi come to our wine shop to do just that. Guiding us through the sake pairings, will be certified Sake Sommelier, Manami Sei and special guests from Japan, Naoko Obata of Tatenokawa and Yuichiro Kawshito, President of Kawatsuru Brewery. We will be tasting a variety of sake styles from these two renown breweries. These producers both have a long and awarded history, but their styles and approaches to sake making are quite different. Kawatsuru, which first opened their doors in 1854, is a traditional style sake brewery, while Tatenokawa, which opened in 1832, has a decidedly modern approach. We can’t wait to see what Masayoshi creates alongside the sake pairings. This event will be communal longtable style. It will be a casual yet intimate setting. It also means that, thanks to our cozy quarters that space is limited. Please act soon to secure your spot(s). We hope you will join us for what we are sure will be a memorable evening! F.I.S.H. (Fresh Ideas Start Here) is a sponsor of Oceanwise products! Black Hills Winemaker + Live Music! One of the advantages of being among the first independent wine stores in the province, with a history stretching back thirty years now, is that we have some great memories of being there when certain BC wineries made their big breakthrough. Even better, we get to celebrate their continuing success. Which is why we are very happy to welcome Black Hills Estate Winery to our shop. This is a winery that was among the first to make a big splash in the Okanagan when they opened in 1996. And they were one of the first in BC to produce a bona fide cult hit among wine aficionados—the Nota Bene—selling out their entire 2006 vintage of 3300 cases. In 47 minutes! We still remember the madness surrounding that release, and the enthusiastic line-up we had here in the shop. There are a number of reasons for their phenomenal success. One of them is their ideal location--a 40-acre property located on the Black Sage Bench north of Osoyoos, in the heart of Canada’s only desert. It is a micro climate that makes it one of the hottest, driest, and most sunny sites in the country. Another reason is the extraordinary dedication of the people behind the wines. You know how you often hear of wine producers who “eat and sleep” wine-making? In this case, that is almost literally true, as Black Hills winemaker Graham Pierce actually lives on-site, right in the middle of the vineyard. Graham is coming out from his Osoyoos hideaway and will be here with us on Wednesday August 31 at 7–9pm and he’s bringing along the latest selections from Black Hills. We anticipate another memorable evening. For this event, they are pairing these exceptional wines with some carefully selected live music. Scientific studies say that music enhances the appreciation of wine – let’s get together on the 31st and find out how true that is. Whatever the case, it will be a great end-of-the-summer soirée. SOLD OUT! Longtable Wine + Seafood Tasting with F.I.S.H.! Here at the wine shop, we love seafood! We love the rich, complex flavours, and we love experimenting to find which dishes pair best with which wines. And for a long time we have wanted to host a seafood-themed tasting event. The thing with seafood, however, is that it has to be good seafood—fresh from the ocean and expertly prepared. Otherwise, it can just be...fishy. So we put those plans on hold until the time arrived when we could find the right neighbourhood partner to work with. It just so happens that we have new neighbours who are legendary in the local world of seafood. Just a couple of blocks away, the new location of F.I.S.H. (Fresh Ideas Start Here) has opened up. This is a store specializing in fresh, locally-sourced, sustainable Ocean Wise seafood—a store owned and operated by Jenice Yu, who launched her first store in Burnaby in 2008, which quickly became a hit with seafood aficionados and chefs from the most reputable restaurants in the city such as Maenam, Bishop's, Boulevard, West, Farmer's Apprentice (just to name a few). She was also named producer/supplier of the year by Chef's Table Society of BC at the 2012 Vancouver Magazine Restaurant Awards. Jenice comes from a family that is well-established in the fishing and seafood business. She knows all about the bounty of quality seafood that comes from our BC waters and she has seen so much of it get shipped abroad to foreign markets that she has made it her mission to get as much of it as possible to the mouths of local residents. Her passion is educating people about the joys of eating the best fresh fish. So here is our plan: we’re inviting you to join us on Tuesday, June 7, from 7 to 9 pm for a very special wine-and-seafood celebration. Jenice will be joining us, along with F.I.S.H’s Culinary Development Chef, Josh Blumenthal (formerly the Chef de Cuisine at Bishops and Executive Sous Chef at Wildebeest) to share stories of the ocean, it's harvest and of course, to wow our tastebuds! We are going to start with some appetizers such as their signature Hawaiian Tuna Poke. Then we’re going to enjoy some of F.I.S.H.’s in-house “shmoked” line of “no additives, no preservatives” smoked delicacies. Finally, we’ll taste this year’s local spot prawns with a much-anticipated spot prawn boil. If you know your prawns, you know that May marks the launch of the spot prawn harvest in B.C. waters—a season that only lasts a few weeks, and that yields some of the most delectable seafood morsels the oceans have to offer. And yes, there will be wine. Wine and seafood have come together to produce sensational taste experiences since...well, since there has been wine and seafood! We’ll be pouring some classic pairings as well as a few surprises. And while the food is fresh from BC, we’ve decided to open up a world of wine options, from both local and international wine producers. This event will be communal longtable style. It will be a casual yet intimate setting. It also means that, thanks to our cozy quarters, space is limited, so please act soon to secure your spot(s). Proceeds from the event will go to Project Chef, as chosen by the youngest member of our wine shop family, 7-year-old foodie, Chase! Project Chef is a local non-profit that is all about reconnecting kids with the age-old human traditions of sourcing, understanding, preparing, and enjoying real food.